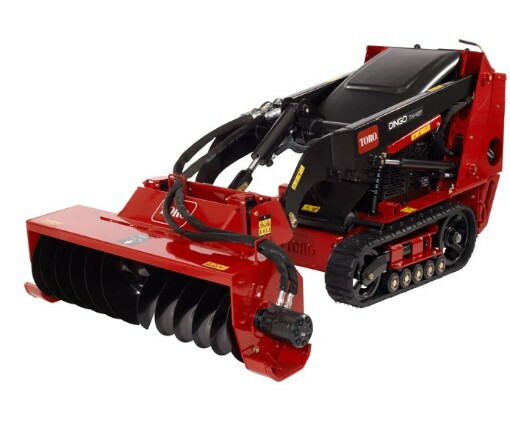 Looking to rent a Trench Filler attachment for the Toro Dingo in Rochester NY, Ithaca NY and Western New York? The Trench Filler Attachment is a widely respected Tool Rental item. High engineered integrated float enables 5 inches of travel. The skid is adjustable and is notable for its even distribution of weight. Working width = 48 inches. Auger Diameter = 14 inches. Float Distance = 5 inches.